Let floral experts create an original bouquet for your special recipient. Our florists will design a gorgeous arrangement for your holiday event using only the freshest seasonal flowers available. This bouquet is designed special for each customer and made up of hand-selected blooms set carefully in an elegant glass vase. 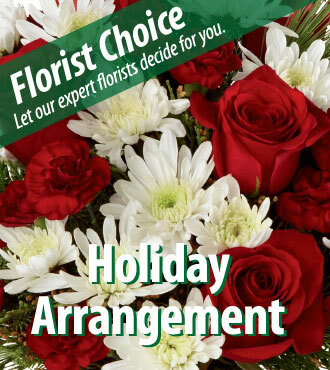 Your arrangement will vary depending on local availability and is perfect for the home, office, or Christmas event. Your purchase includes a complimentary personalized gift message.